Remember when this show used to be about zombies? In the months running up to each season or mid-season premiere of The Walking Dead, I usually get asked if I’m looking forward to it. For the last couple of years, I've usually responded with a “meh”. 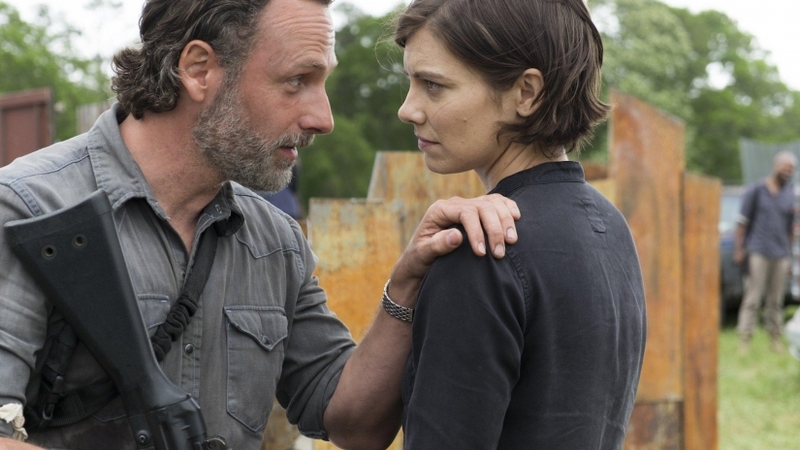 When asking myself if I’m willing to invest 50 minutes of my life each week for another 16 episode series, my gut instinct tells me I’ll get more of the same: “Rick makes a speech about working together and/or surviving. The squad heads out on a mission or a slightly convoluted plot. Things seem like they’re going smoothly. Oh no, things are suddenly not going so smoothly. Will that person die? Probably not. Repeat 16 times until the finale”. Watching the Season 8 premiere, I was still slightly optimistic but much less than I have been with seasons that came before. Being the 100th episode, titled “Mercy”, also being a tribute to both the show’s deceased stuntman and horror icon, George A. Romero, you’d have expected something special. Not like a parody of Night of the Living Dead or anything but perhaps a deviation from the episodic formula that’s been batted into the ground over the last few seasons (just like Glenn). So was the episode a tribute to the stuntman and Father of the Zombie drama as such? Ha ha. No. 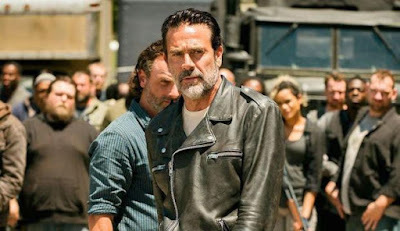 The episode opened with Rick standing in front of all of his followers. Giving a speech, talking about the bad guy they need to go have yet another slightly tense shoot-out with. Saying they’re not just friends or colleagues, they’re family, for what feels like the 45th time. The Fast & Furious franchise has less repetitive dialogue and I never thought I’d have to make that comparison but that’s the world we live in now I suppose. 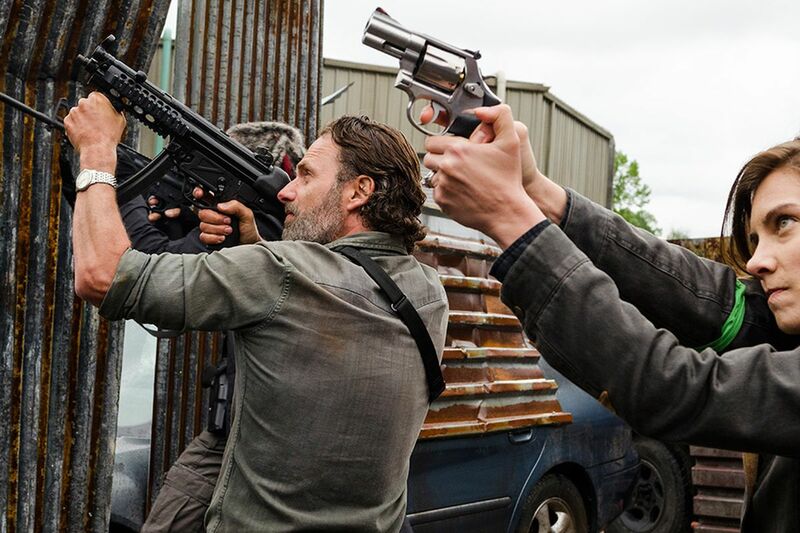 Rick and co. drive off to Negan’s. I mean Negan drove to his last time so it’s only fair, yeah? 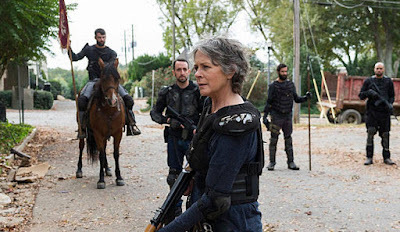 Daryl, Carol and a few whose names I can’t remember (they’re not important enough to Google), jumpstart the gang’s latest convoluted plot of luring a mass horde of Walkers, led by a cool-looking Daryl on a motorcycle. Aside from the pre-tense to the shoot-out, this is basically the plot of the Season 6 premiere. Is poking critique at that picky? Maybe, although it being only two years ago feels patronising. This episode had a very slight pay off to it but the whole inclusion of this sub-plot in the episode felt like a run-time filler pulled out of the plot device recycle bin, slightly polished up and reused as if we wouldn’t notice. So Rick and his brand of The Super Best Friends get to Neagan’s, call him and his squad out, chat a bit with guns pointed. Neagan trash talks in retort, makes threats under his charismatic persona, shooting starts, roll credits. It all just feels so tired. Similar to that feeling when you’d get dropped off at a grandparent’s on school holidays and you had no choice but to rewatch that one film they own on VHS. We’ve seen this all before in The Walking Dead. It’s not that it isn’t entertaining for some but many have seen this all too many times. The reason for Neagan’s inclusion in the show, back in the season 6 finale, was an attempt to rejuvenate the direction of the show forward. 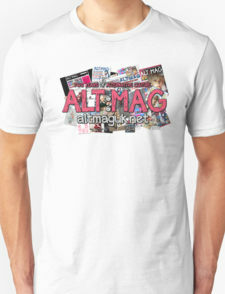 To give audiences a charismatic face of evil that they’d just hate to love and love to hate. As infuriating his introduction was teased and drawn out, Neagan was a success. Before the finale of season 6, I could barely tell you anything what happened during the show’s previous couple of seasons. I simply remember them as big blocks of the same formulaic episodes mentioned earlier. That formula grew tired by The Walking Dead’s 4th season and unfortunately, the Neagan-infused version of the show is now suffering the same fate. It cannot be denied that Neagan was a breath of fresh air. He was the reason to get keen on watching TWD again. For the first half of the seventh season anyway. 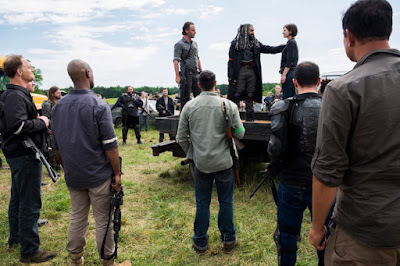 Regrettably, because Neagan became the only reason to watch the show, the Neagan-esque formula quickly got tired by the season finale, ending an exhaustingly stretched out run of filler episodes with bouts of PG-13 violence as checkpoints. Season 8 has basically been marketed as “they’re going to war!”. Isn’t that what the second half of season 7 was about? So we’re basically in for another full drawn out season of a few bullet-riddled conflicts padded with filler episodes - unless it’s all been a clever marketing ploy and everyone just goes back to fighting zombies in an awesome survival gore fest. I say this because this is what’s missing from the show. The Walkers. The zombies that were once the driving allure of the show have been pushed into the background, being nothing more than mere props. They’re now more decorations for aesthetic than the horrifying creatures they’re meant to be known for, adding a theme of decay to a showcase of mediocre gun violence and worn out story lines of conflicting societies. 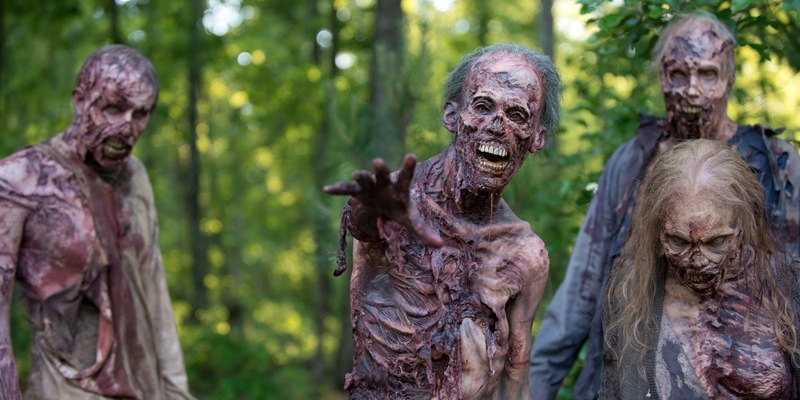 Absence of the Walkers’ weight onscreen carries further disappointment because it’s a sign of the series dropping its roots in order to be mainstream complaint-proof. 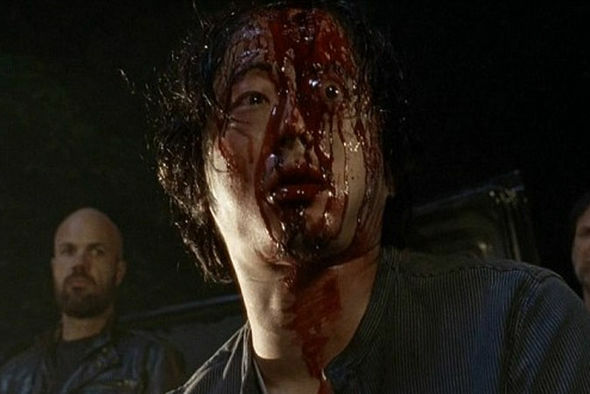 It’s safe to say we’ll never see the level of perfectly brutal, bloody violence that made the Season 7 premiere so perfect when the series needs some inevitable jazzing up. Following the brain-smashing batting to death of Abraham and Glenn, beautiful eyeball popping included, parents, TV fans and many others with too much time on their hands were quick to cry in outrage. Despite the Glenn-smashing being faithful to its comic book roots, The Walking Dead has become a victim of its own success. If it were 4 or 5 years ago, barely anyone would have bat an eye. Now due to its mass viewership, any complaints are picked up and inflated immediately, with pressure to reduce its levels of gory violence reaching its producers almost instantaneously. This was evident in the Season 8 premiere. 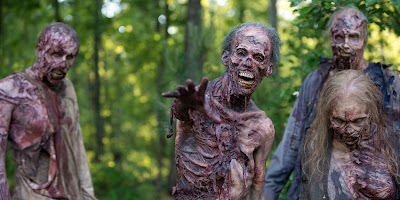 Despite being a show about zombies overflowing the world, with hundreds being in this particular episode, only one person got eaten alive and it was all off screen. Rick fiercely stabbing a baddy in the stomach was all implied. Fear of mass criticism over violence and not being Marvel-film family friendly has caused showrunners to only stick with what’s safe, and we’ve already seen what’s safe 99 times before. Up to season 4, The Walking Dead was one of the best shows on television. Being the concluding series of a war between clashing societies before it got as dull as a spoon, everything grew at an appropriate pace. Characters steadily developed, the stories felt fresh and the violence was abundantly fitting for the world its set in. This is where The Walking Dead peaked. After finally setting up a safe haven for our cast of survivors and clashing with a human villain, The Governor, for the first time, there was no room left to grow. Beyond a few tweaks to the particular baddie, each season has repeated itself with the stakes only being slightly raised to make viewers think otherwise. 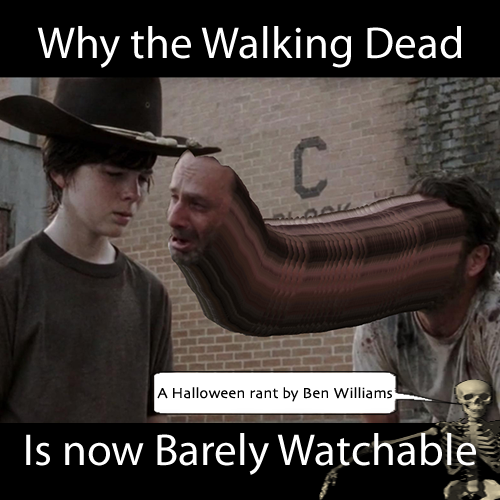 The Walking Dead is now what I believe to be the television equivalent of stale white bread. If I was starving to death with no alternatives to satisfy my hunger for entertainment, sure, I’d wolf down the whole load. Yet I know whatever new episode I’m going to watch will be identical to reruns from previous seasons but with a fresh coat of paint. Seasons I’ve never once been tempted to re-watch as there are so many alternatives: new and interesting films or television series with unique stories and concepts that’ll tether my attention to the screen. A full season is around 14 hours. Spare time is precious. If you want to spend your time watching something that’s repetitive and stale, watch a Transformers film. At least they’re only around 2 and a half hours.